Since most of our players have smart phones, here is a useful application for them to keep themselves active during rainouts or off weekends. Please encourage your child to use it. 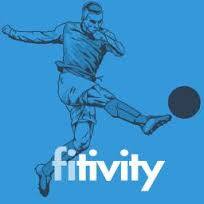 Fitivity’s Soccer Training (an all-inclusive soccer skills app) covers dribbling, passing, shooting, agility and servicing drills so that your game has no weaknesses. - Fitness, sports and recreational events in your city!